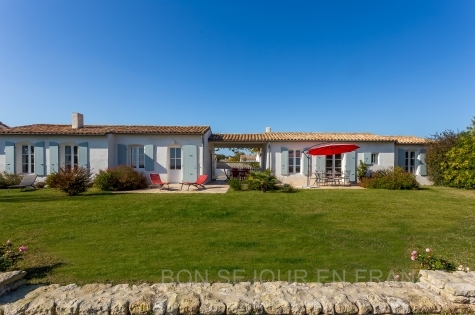 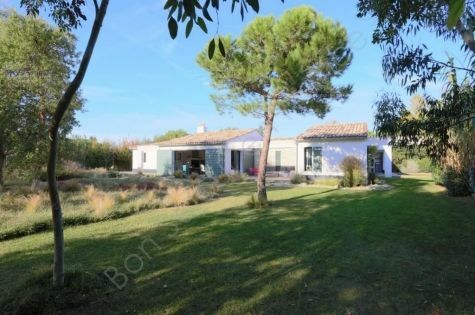 Only 250 metres from the port of Saint Martin, nestling in a quiet cul de sac, we are sure that you’ll be charmed by the contemporary island design of this 2018 build, the work of a renowned Ile de Ré architect. 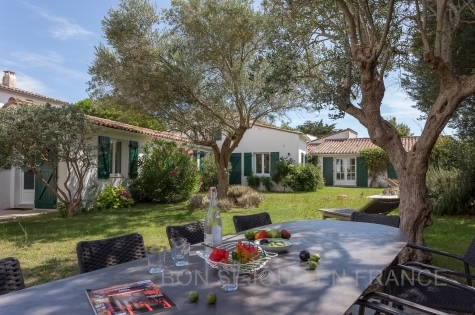 This large, bright and comfortable holiday home, with a swim spa in the middle of a lovely, tree-filled, enclosed garden, is ideally located in the heart of the village near sandy beaches and the market. 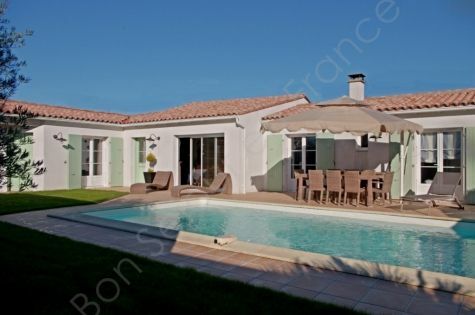 A pool is a highly sought after asset, even on the Ile de Ré. 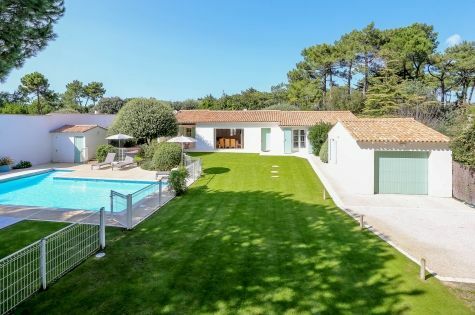 Arguing that the sea is as good as any pool just doesn’t cut it for many clients, who put the swimming pool at the top of their must-have list. 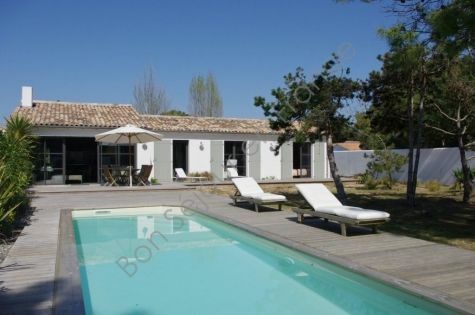 It’s true that the lack of a pool in some of the top of the range rental properties in our catalogue could be compared to a luxury car without air conditioning. 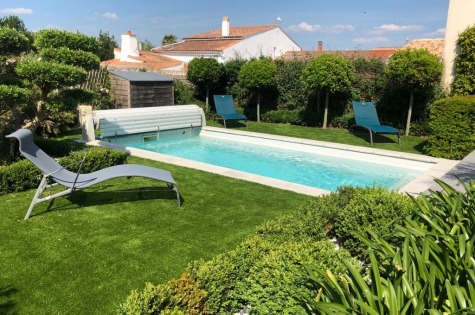 In effect, as the quality of the rental property increases, a pool becomes standard equipment rather than a luxury, and the lack of a pool becomes a problem. 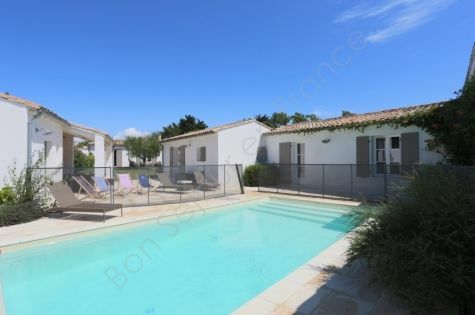 The size of the pool may vary from rental property to rental property, but there is one constant: the pools are heated, which is essential on the Ile de Ré in April, May, June, September and October, when the weather is not always hot enough to maintain the water temperature at 28°C. 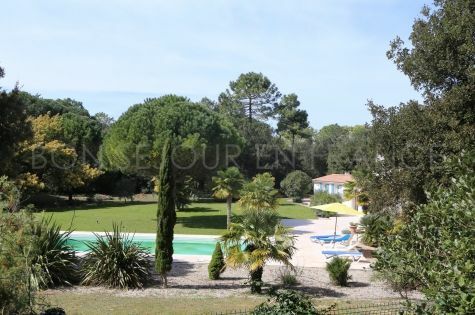 All the pools have some form of safety system, whether an electric cover (in the majority of cases), or a fence or alarm. 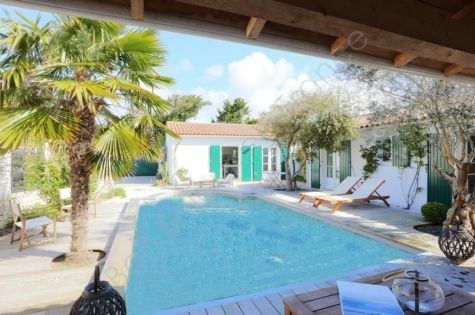 Whether you prefer the pool or the beach, enjoy a bit of bathing on the Ile de Ré!